In this article, we provide you Interim Budget 2019 Key Things NDA Government provides to people of India. Piyush Goyal presenting Interim Budget for the financial year 2019. He initiated several new things in this budget and also not forget to count the previous achievements of the present NDA government. At the same time, he also compares the work of the current NDA government from the work of previous UPA Government. 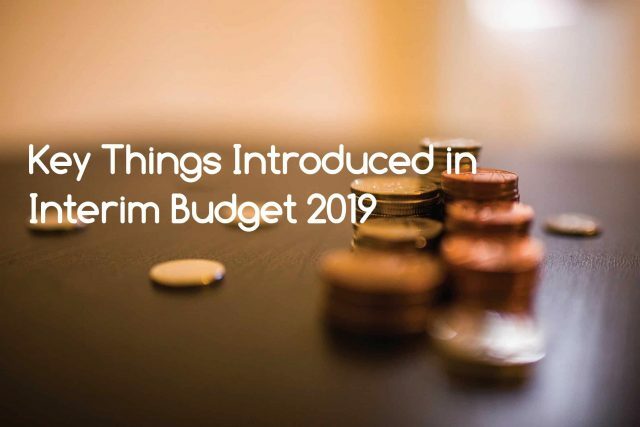 However, In this article we provide you Interim Budget 2019 Key things. At First, Piyush Goyal opens the Pandora Box by stating that Government now provide 6000 rupee to those farmers that have up-to 2 hectare of land. This amount comes directly in there bank account in three installments. Labours whose salary are up-to 21000 will avail bonus. The government will cover the expenditure of Rs 75,000 crore on PM Kishan Samman Yojana. Government announce 6 Lakh compensation on Worker’s death. Pension support for laborers whose salaries are up-to Rs 15000. The gratification payment limit is now Rs 20 lakh. In the event of an accident, EPFO Insurance will get Rs 6 lakhs. For the first time, the defense budget is Rs 3 lakh crore. Plan to create 1 lakh digital villages in the next 5 years. After the age of 60, the government will provide a pension of 3000 rupees. Full Tax rebate for Individuals whose annual salary is up-to 5 Lakh. However, this limit will reach 7 lakhs if you have been investing in different sources. Buying a second house will also help in tax relief. Individuals could now save around 8-10 Thousand Rupee annually. No tax on bank interest up to Rs 40000.. There was no tax on the interest of Rs 10,000 before. The standard rebate has increased from Rs 40,000 to Rs 50,000.